The truth of the matter is that I had lost faith in The Local. After Chef Alberto Cabrera’s (Little Bread) exit, there seemed to be a loss of focus on the food. I had met Phil when he was at Swine where he created one of the greatest Burgers to ever grace this earth, the Swine Burger. 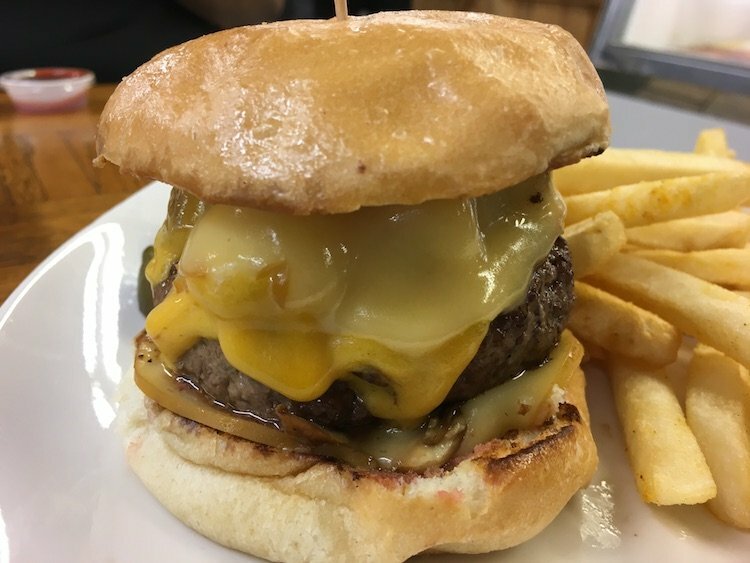 I later found out from Alberto that Phil had also created the Burger I liked so much from the Local at the 2011 Burgerliscious competition in Coral Gables. It turns out that Phil had worked briefly at the Local before his stints at Yardbird & Swine. In other words, Chef Phil Bryant is South Florida’s Best Burger Chef. Now he’s back at The Local where he’s creating some killer Southern-inspired comfort food. Don’t just take my word for it, look at the pictures below and you’ll see what I mean. You’d have to be a fool to skip out on eating here. And of course, don’t forget to order the Burger.